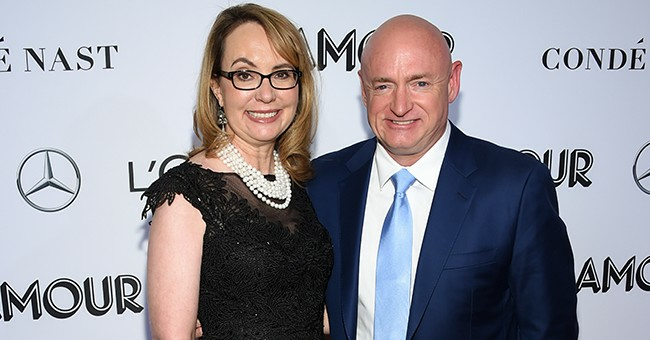 Retired Astronaut Mark Kelly plans to make his mark in politics, following in the footsteps of his wife and former House Democrat Gabby Giffords. On Tuesday Kelly announced that he plans to replace the late Senator John McCain’s seat as a registered Democrat. He posted a video on his Twitter page to advertise his campaign. “I always knew I was going to serve this country in some way,” Kelly said in the video. Kelly told the story of his family’s history, including his mother’s achievement of becoming one of the first female police officers in West Orange, New Jersey, his own achievements in space and with the U.S. Navy, as well as his wife’s survival when an attempt was made on her life by an active shooter in 2011. “You know, I thought then that I had the risky job. Turned out that you were the one who had the risky job,” Kelly said in the video talking to Giffords. Both Kelly and Giiffords are mobile activists for gun regulation, but gun control wasn’t mentioned in Kelly’s campaign video. Instead, he briefly touched on other issues he said he hopes to tackle if he’s elected. Kelly also said that he was against the polarized political climate and actions like gerrymandering. “We’ve seen this retreat from science and data and facts,” he said, without giving specifics. Kelly will be competing against Republican candidate Martha McSally.